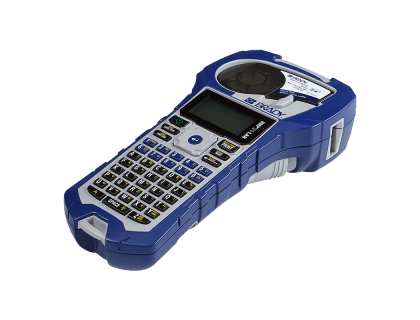 Learn about the Brady Brady BMP21-LAB 139538 Handheld Label Printer. Includes pricing, features, customer reviews, and frequently asked questions. The Brady BMP®21-LAB Portable Label Printer is an ergonomic label printer with an ABC keypad, graphics library, easy label setup keys, and other features to create labels fast. Built-in label templates with mathematical symbols. Backlit LCD display for easier labeling in low-lit areas. 4.5" x 9.5" x 2.5"
Pros: Lightweight, portable, multi-line printing, in-built manual cutter. Cons: Only prints 100 labels per day, no data transfer to PC. Bottomline: A simple to use, budget label printer for printing tickets, receipts, and labels fast. The Brady BMP21-LAB 139538 Handheld Label Printer retails for $99.00. The BMP®21-LAB Printer can take on a variety of labeling projects in laboratory environments, from vials and tubes to general identification. Handheld label printer creates multi-line labels for clear identification of laboratory equipment including slides, tubes, beakers, bottles and more. Built-in label templates with mathematical symbols saves you time and makes labeling easy and efficient. On-board keyboard contains letters A to Z and numbers 0 to 9, and backlit LCD graphics display for easier labeling even in low-lit areas. Prints in 6 different text sizes ranging from 6 point to 40 point in a single color. What other features does the Brady BMP21-LAB 139538 Handheld Label Printer have? The Brady BMP21-LAB 139538 Handheld Label Printer is a multi-functional printer with an in-built magnet, flashlight, and retractable printer stand for ease of use. Other features include a label shortcut key to automatically cut labels to fit to vial and tube sizes, as well as time and date stamps, and smart cell technology for automatic label set up and formatting. Where can I buy the Brady BMP21-LAB 139538 Handheld Label Printer? 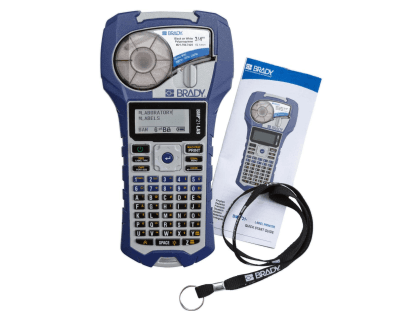 You can buy the Brady BMP21-LAB 139538 Handheld Label Printern by clicking on the link above, or from sites like Megadepot and Amazon. What are some Brady BMP21-LAB 139538 Handheld Label Printer alternatives? Just bought a super nice Brady label maker: BMP21-PlusMaker: Ive yet to open I had a bigger version at my previous job and it was awesome! I use a Brady BMP-21 printer with nylon cloth labels for cable wrap labels. They work very well for wrapping around cables and will not peel up like some others do.